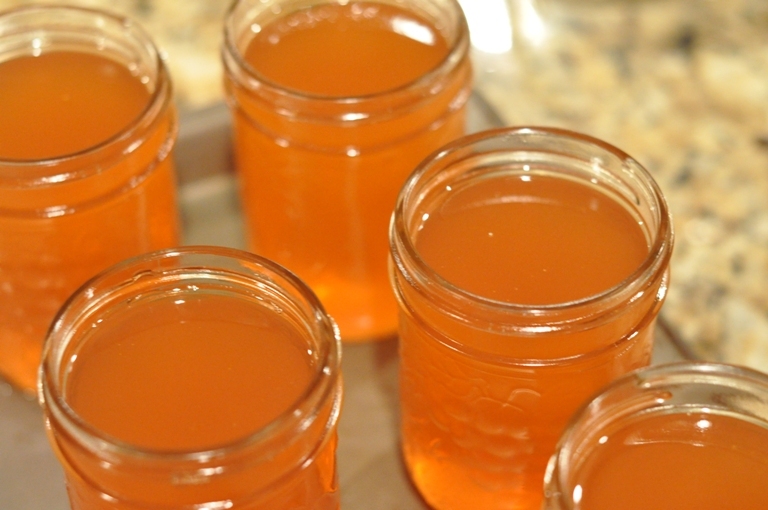 Rose hip syrup…MMMmmm…delicious. Picking the rose hips the other day was lots of fun and deciding what to do with them was easy once I came across this recipe out of River Cottage Handbook No. 2 Preserves by Pam Corbin. Rose hip syrup. Looks easy. And, sometimes the simplest recipes can surprise you by being the tastiest. For more information on the benefits and uses of rose hips check out Wikipedia. 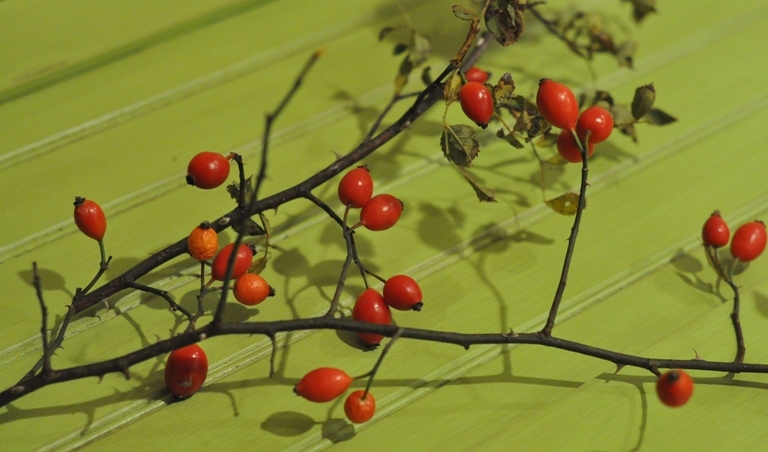 Wash rosehips in cold water, removing the stems and attached leaves. In a stainless steel saucepan bring 3 cups of water to the boil. Meanwhile, chop the rosehips in a food processor or cut up well using a sharp knife. 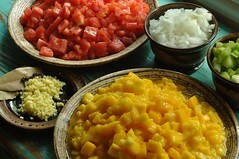 Add them to the pan of boiling water, cover and bring back to the boil. Remove pan from the heat and allow to cool for about 10-15 minutes. Pour mixture into a moistened jelly bag and let the liquid drip for an hour. Set aside the strained juice. 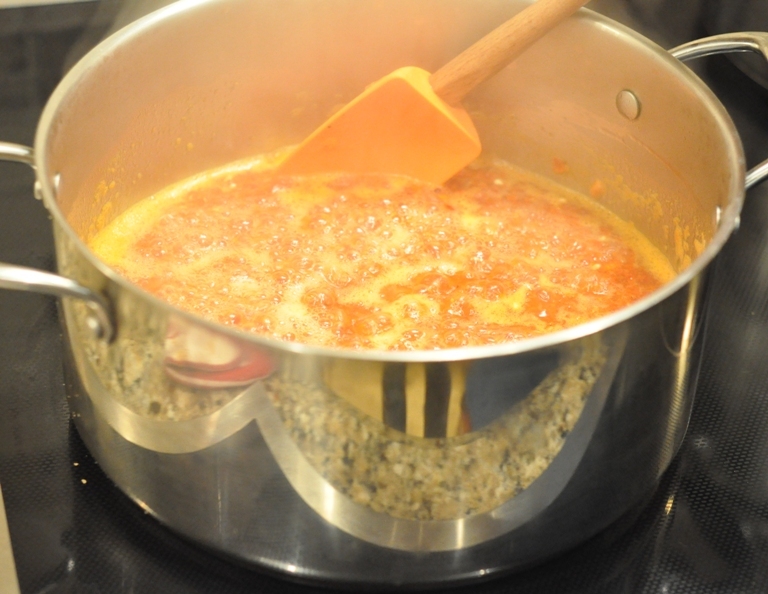 Repeat the above process by boiling an additional 3 cups of water, adding the rosehip pulp, bringing the mixture back to a boil and removing from heat. 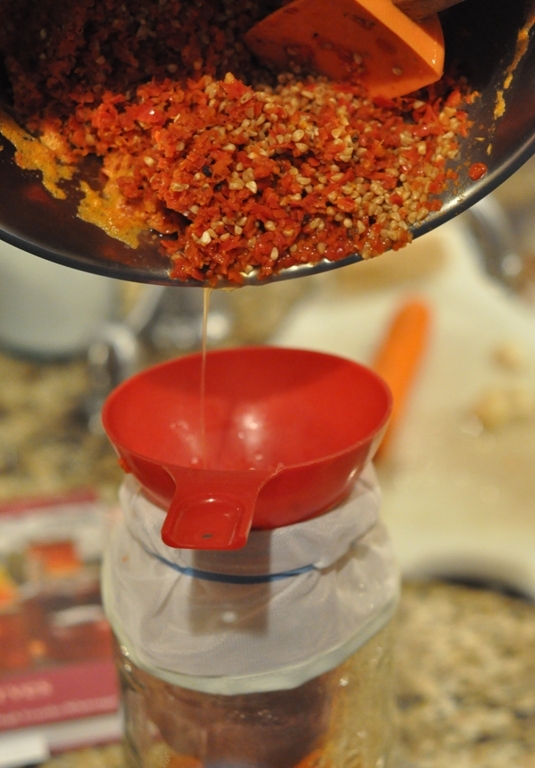 Strain the mixture for a second time in a moistened jelly bag and leave to drip overnight. The next day, discard rosehip pulp. Combine both lots of collected juice and measure (you should have about 1 litre). 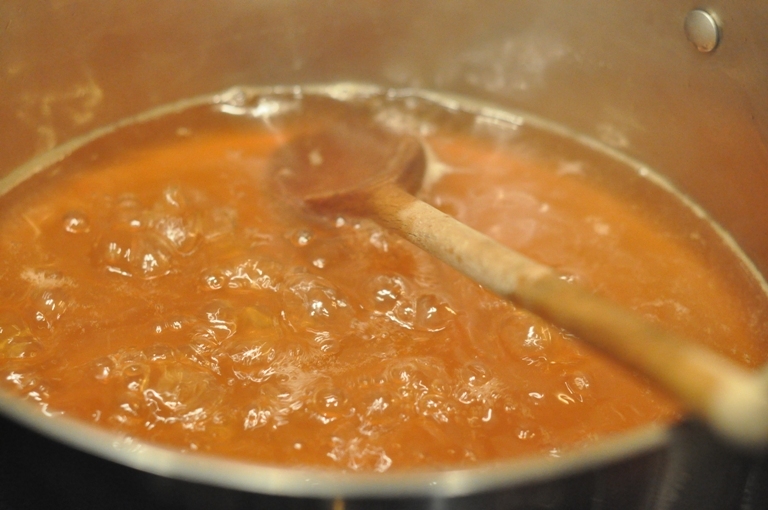 Pour the rosehip juice into a stainless steel saucepan, add the sugar and heat, stirring until dissolved. Bring to a boil for 2-5 minutes. 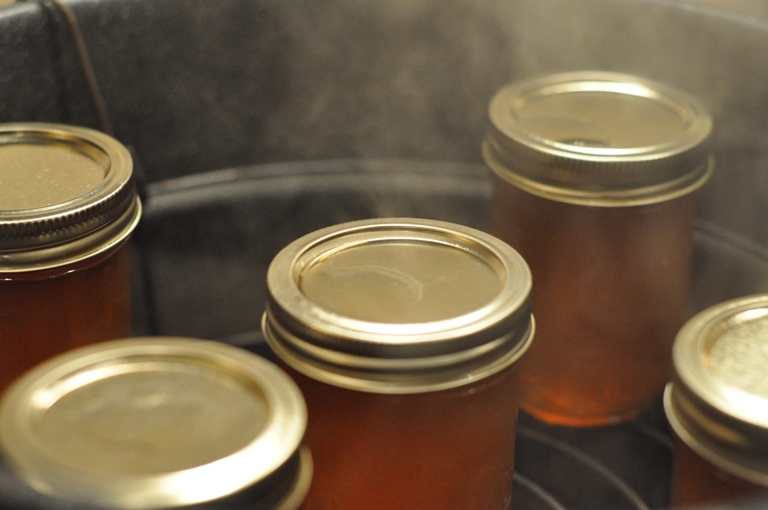 Ladle hot rose hip syrup into hot sterilized jars, leaving 1/2″ headspace. Remove air bubbles and adjust headspace, if necessary, by adding more liquid. Wipe rim using a damp paper towel. Center lid on jar. Screw band down until resistance is met, then increase to fingertip-tight. Place jars in canner, ensuring they are completely covered with water. Bring to a rolling boil and process for 20 minutes. Remove canner lid. Wait 5 minutes, then remove jars, cool, label and store. Hmmm, I’m not sure what rose hips are. This looks really interesting! Rose hips are the fruit that develop on rose plants/bushes. They are usually bright red but I did pick some that were more on the orange side this year. They are surprisely aromatic and the flavour is uniquely delicious. Very high in vitamin C and antioxidants. OH DARN! We had a HUGE rosehip year and I would have loved to have this recipe. LOL I guess I will just weed through the recipes for next year. Good Job Turnbulls! It may not be too late. Rose hips don’t mind a good frost and should be picked when they are soft. You could half the batch and keep in the fridge to use over pancakes or mix with a little rum and apple juice for something different. Man this sounds amazingly delicious! I am going to have to have a taste of these little delicasies!